Do you have meat that you grind into hamburger? This could be red meat or even turkey based on what you do or do not like to eat. One way to prepare ground meat is to make a sloppy joe sandwich. All you need is a tasty sloppy joe seasoning mix. Buying a spice mix at the store is a quick way to go, but there is a tastier option. 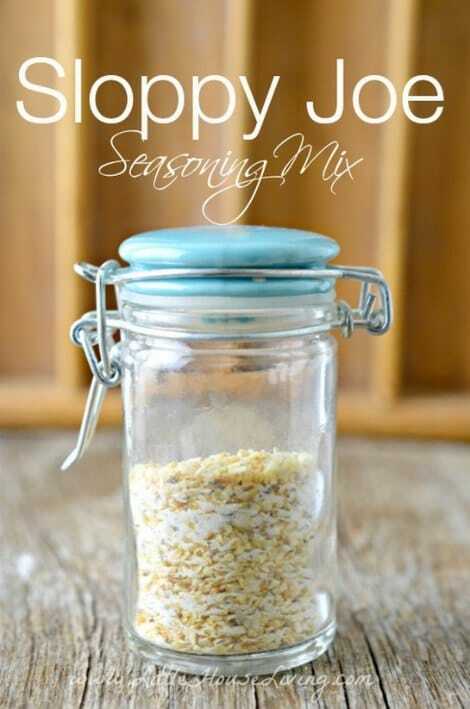 You can easily make a sloppy joe seasoning mix at home by using spices you have in your cupboard. The only thing you will need that you may not have is cornstarch. Gather all the ingredients that are needed to make a sloppy joe seasoning mix to see if you anything is missing. A trip to the store may be necessary. This is a dry mix that you can keep in a plastic container or any type of glass jar that is airtight.